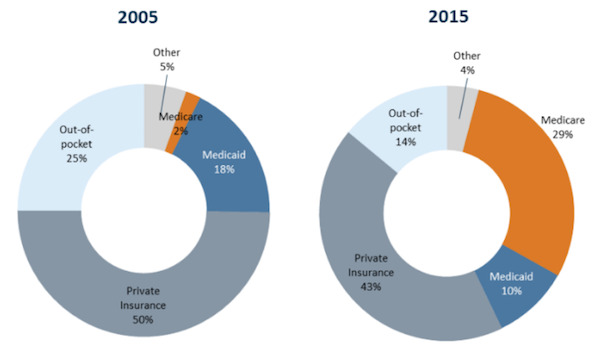 Data Source: National Health Expenditure (NHE) data from Centers for Medicare and Medicaid Services, Office of the Actuary, National Health Statistics Group. Source: Peterson-Kaiser Health System Tracker: What are the recent and forecasted trends in prescription drug spending? This entry was posted in Data Watch on December 28, 2016 by Genevra Pittman.